Yesterday, Russia-backed militants committed a single ceasefire violation: they attacked Ukrainian troops in Opytne area (Donetsk sector) with grenade launchers, reported Ministry of Defense spokesman Colonel Dmytro Hutsulyak at a press briefing at Ukraine Crisis Media Center. “Ukrainian troops did not return fire and continue to comply with the Minsk agreements and the comprehensive ceasefire effective since midnight of March 5,” he said. 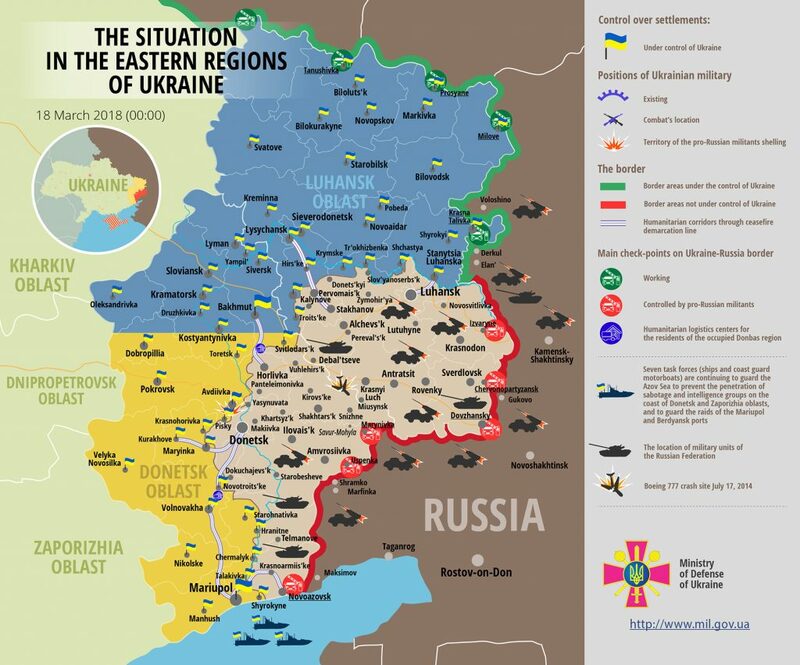 Ukrainian troops incurred no casualties yesterday. Report on the military developments as of March 17 is available here. Interactive data on the shelling: chronology shelling chart and the interactive map.